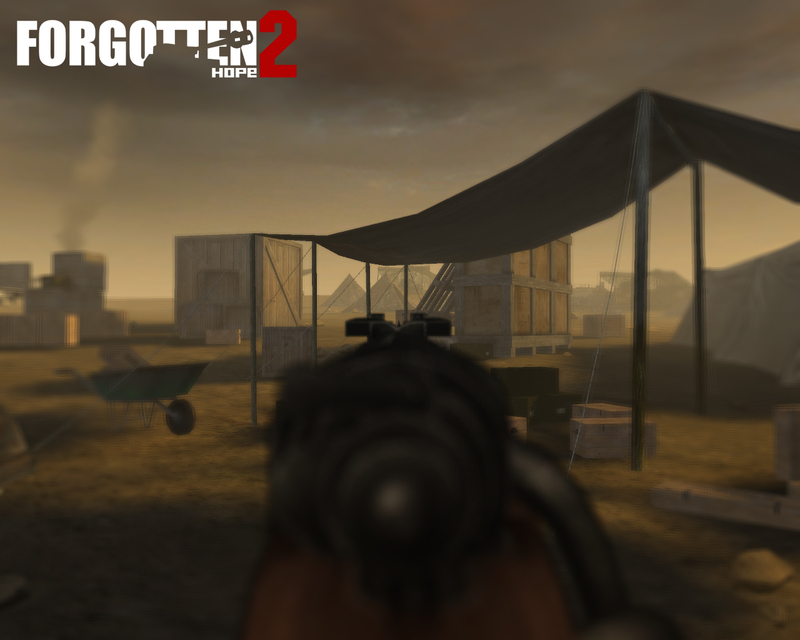 Hello and welcome back to another update of Forgotten Hope 2. 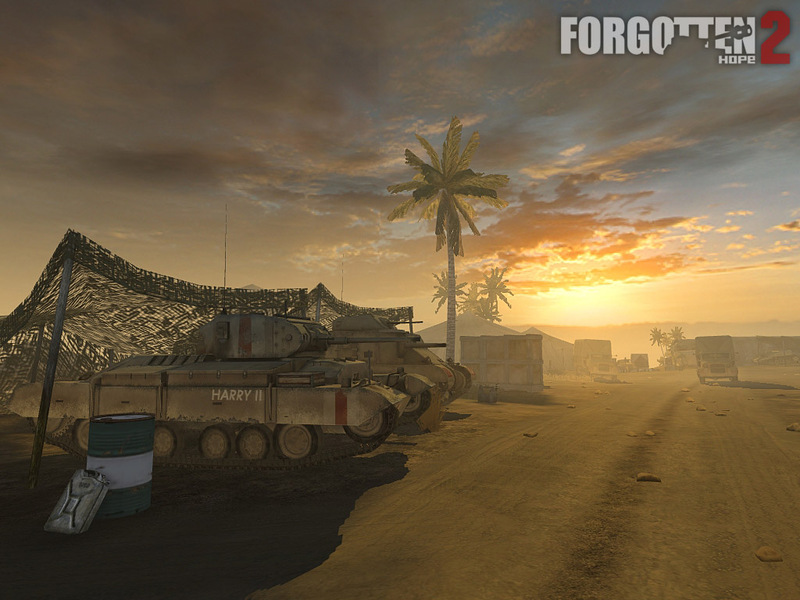 Today, we'd like to show you the M1A1 Bazooka and the new depth of field effect. Before we start with the news though, we first want to say welcome to the latest member of our development team: Seth Soldier. 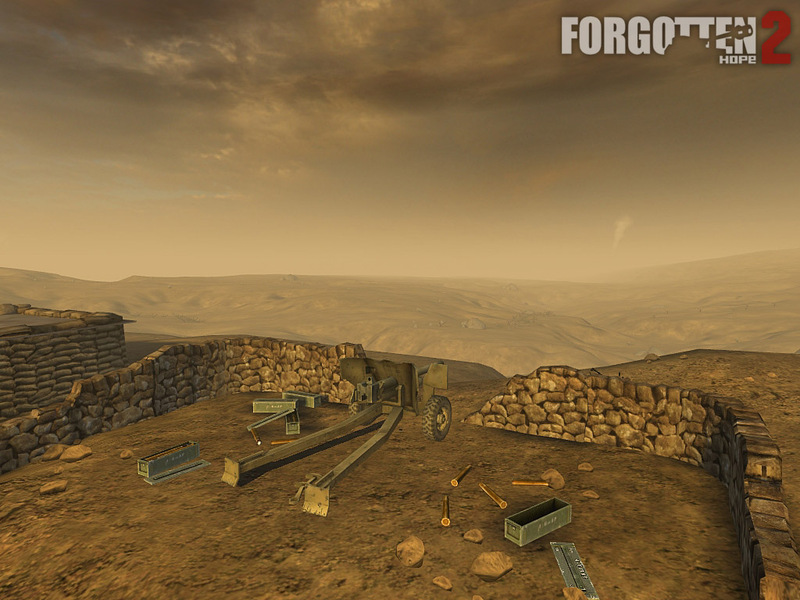 Seth Soldier will be modelling, skinning and animating new weapons. The Rocket Launcher M1A1 "Bazooka" first entered service with US troops during Operation Torch, in 1942. It was capable of penetrating up to 100mm of armour and had a maximum effective range of about 120 metres. Its design proved to be so successful that it was immediately copied by the Germans, which eventually led to the Raketenpanzerb�chse 54 "Panzerschreck". During the war, almost half a million Bazookas were produced. 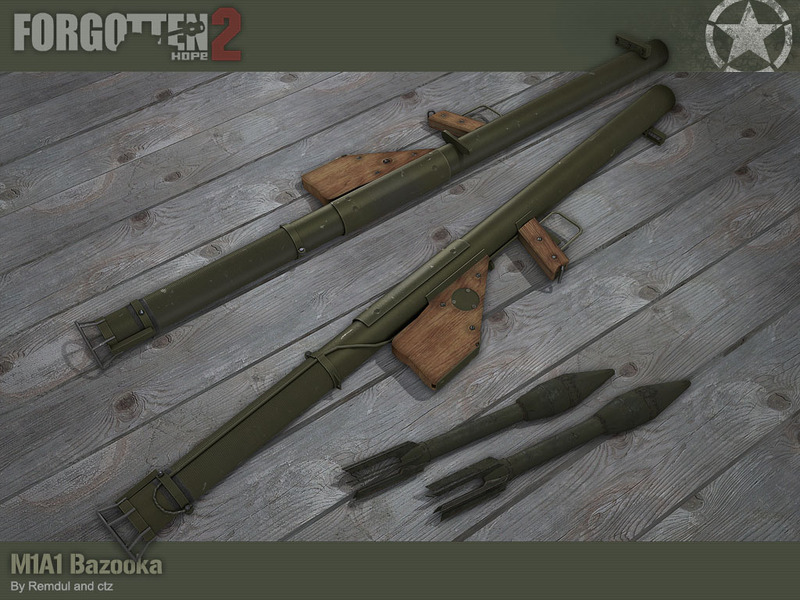 This bazooka was Made by Remdul and ctz. 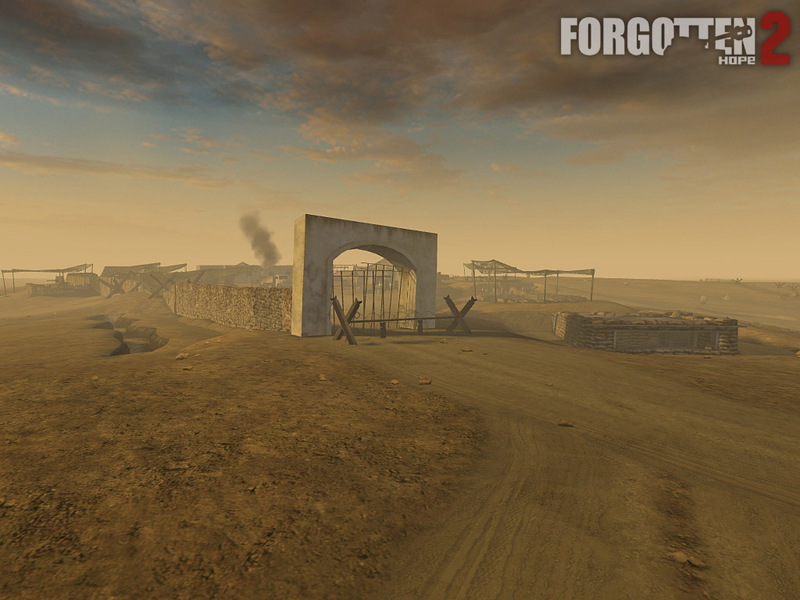 The next item we have to show today is the Depth of Field shader by Jodonnell. This shader simulates your eye focusing on the target, causing everything on the edges of your screen to go out of focus and appear blurry. You'll see this shader every time you use the ironsights on your weapon. 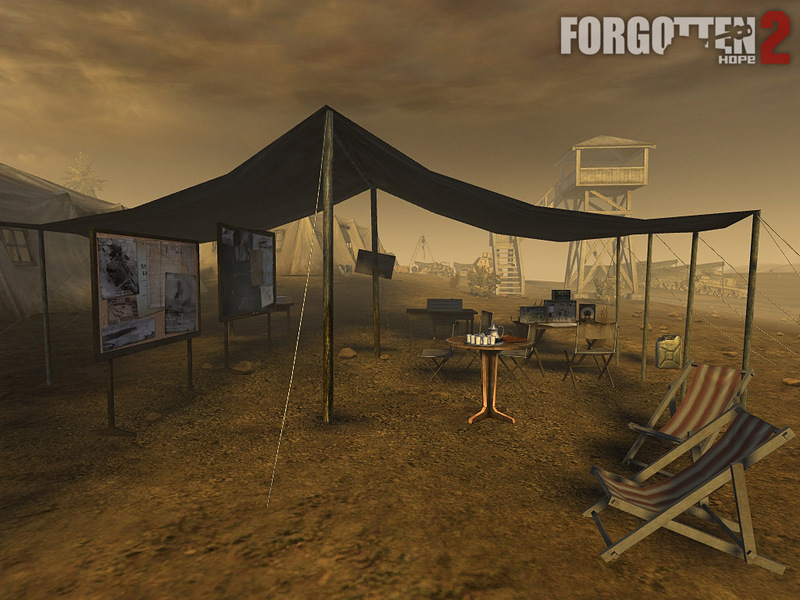 Hello and welcome back to another update of Forgotten Hope 2. Today we've got two allied landing craft that were used in the amphibious invasion of Normandy on D-Day. The British LCA (Landing Craft Assault) was the most numerous landing craft during D-Day. It was present at all 5 of the invasion beaches and, although it was used to land American troops, it remained crewed by the British Royal Navy. 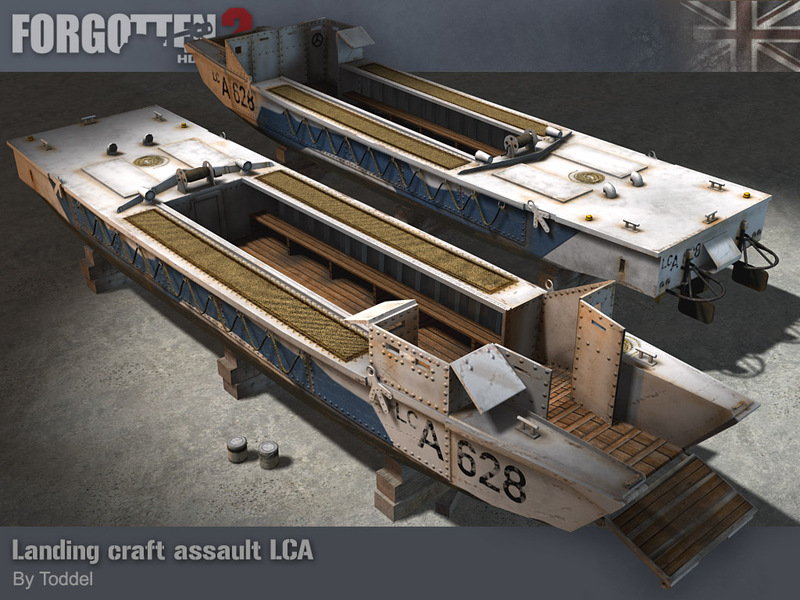 The LCA had the capacity to carry 36 fully equipped soldiers to the beaches at a maximum speed of 6 knots. It was armed with a single Bren located at the port side. Both the model and skin were made by Toddel. The main American landing craft was the LCVP (Landing Craft Vehicle, Personnel), also known as the "Higgins boat." This landing craft was also present in large numbers during D-Day, carrying most of the American soldiers ashore. Like the LCA, it had the capacity to carry 36 men, but at a maximum speed of 9 knots it was much faster. The LCVP was armed with two .30 caliber machine guns located at the rear of the craft. 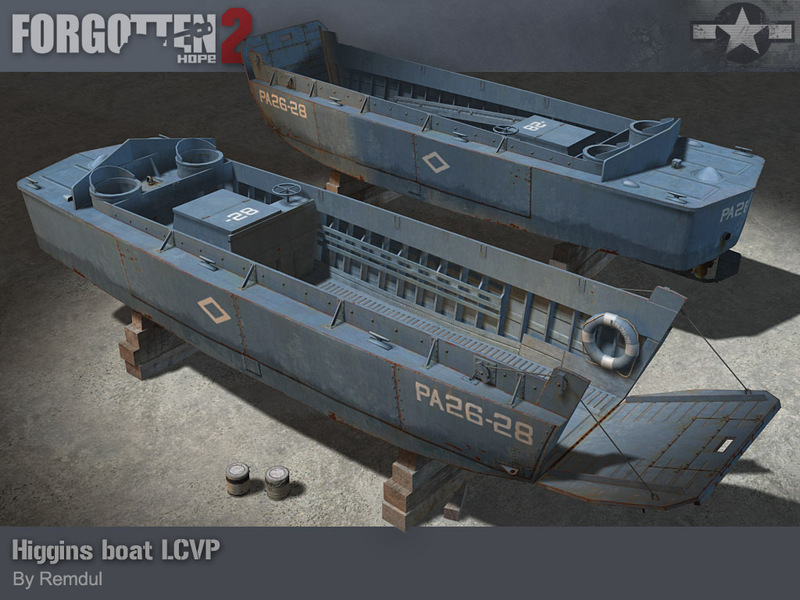 The design of the LCVP was so successful that it continued to be produced until long after the war. In total, 20,000 LCVPs were made. Both the model and skin were made by Remdul. 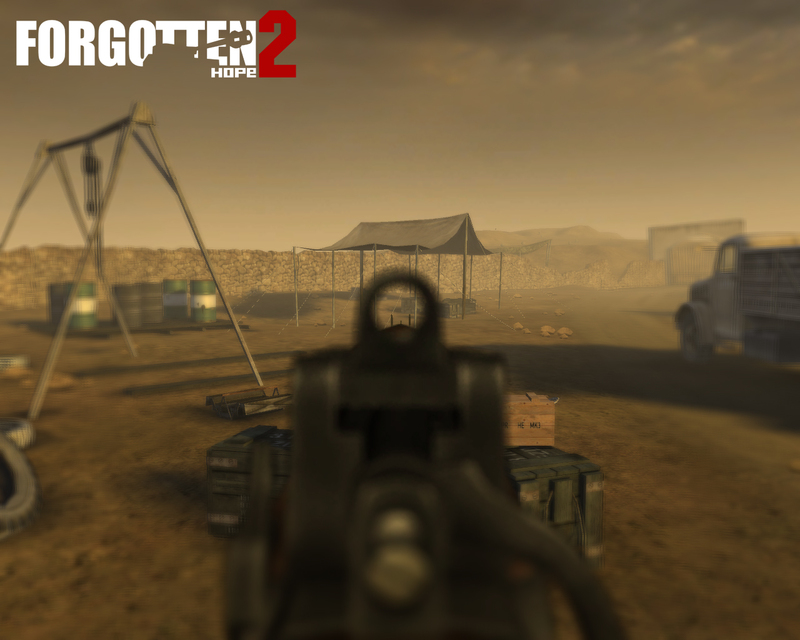 Hello and welcome back to another update of Forgotten Hope 2. Today we've got some news for you from Normandy and from our upcoming patch, which will feature new weapons and new maps. Let's start by showing our Normandy news item. 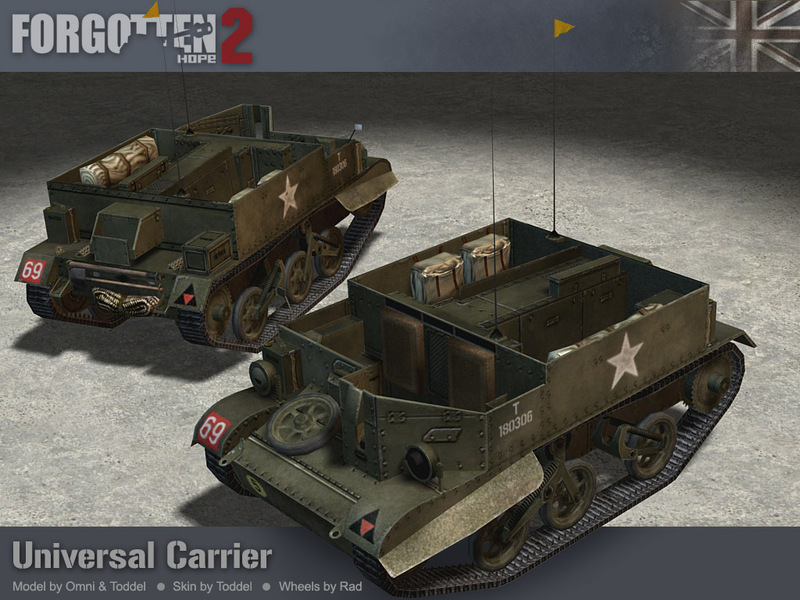 The Universal Carrier was originally designed as an armoured vehicle, capable of carrying heavy weapons through areas too dangerous to use regular trucks. It soon became clear that this incredibly versatile vehicle was better suited as armoured infantry support. Nearly all Allied nations made use of the Universal Carrier, making it the most produced armoured fighting vehicle in history. The original model was done by Omni, Toddel and Rad and the new skin was done by Toddel. 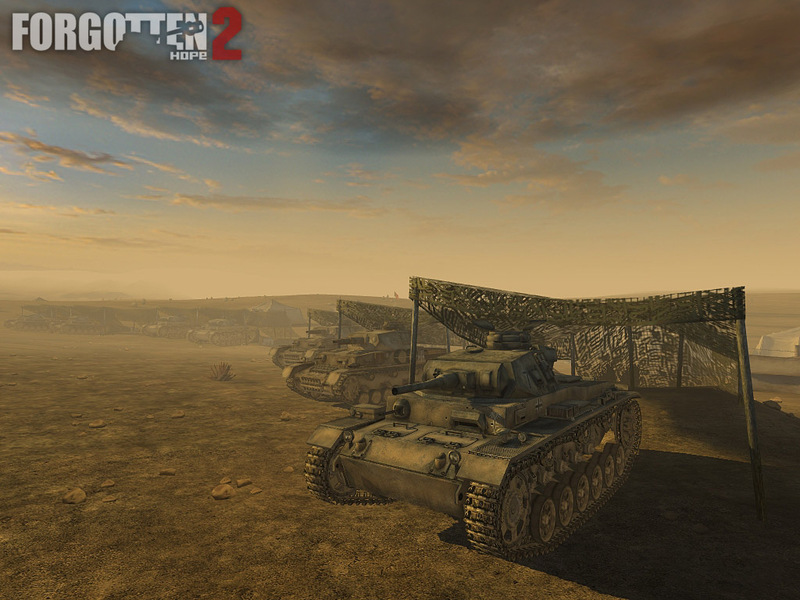 The next vehicle we want to show will make its appearance in the upcoming patch. 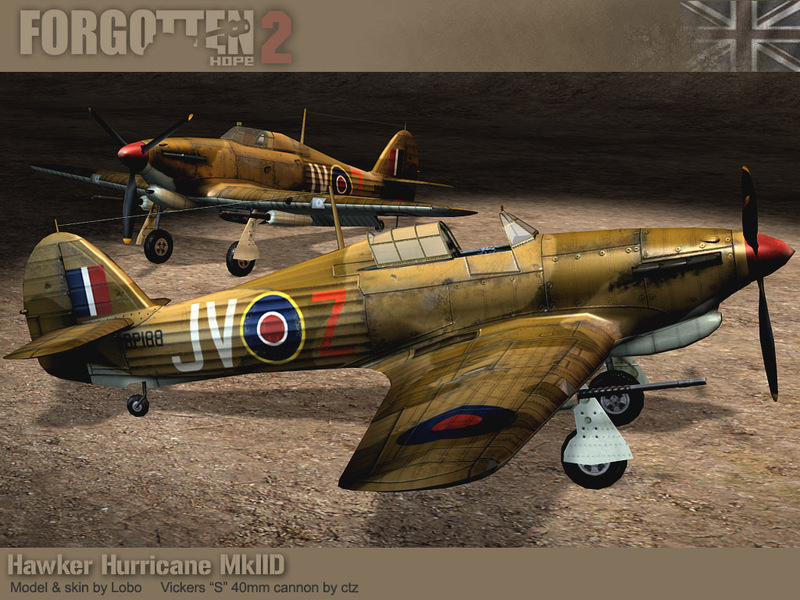 The Hurricane MkIID was nicknamed 'The Flying Can Opener'. It was armed with two 40mm Vickers 'S' anti-tank cannons, carrying 15 rounds each. 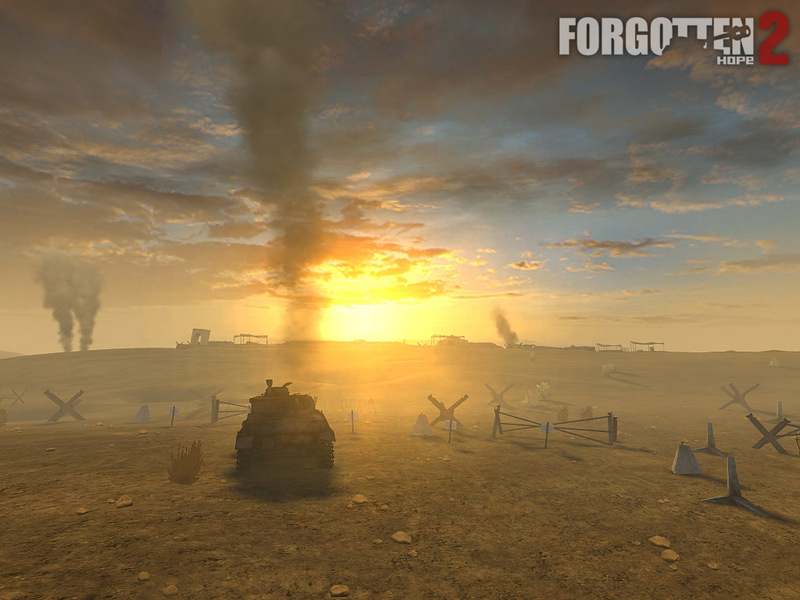 It was a great anti-tank weapon, because it's cannons were much more effective against tanks than regular bombs. The first Hurricanes of this type were used in the summer of 1942. 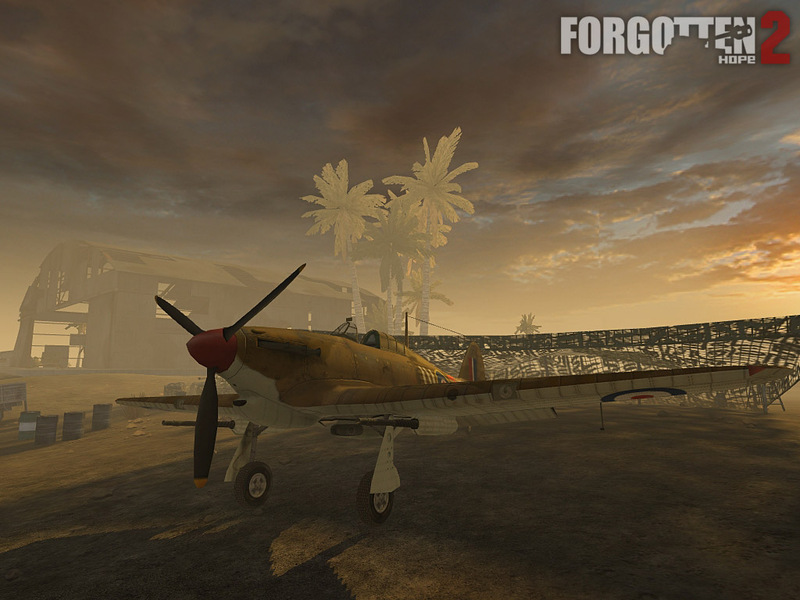 The original hurricane was made by Lobo and the 40mm cannons were added by ctz. 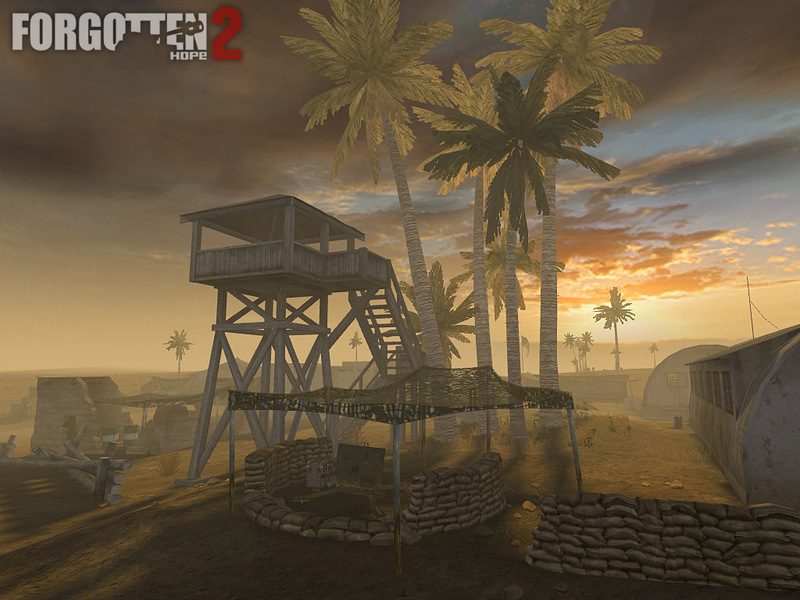 Finally, we want to show you one of the maps that will feature in the upcoming patch. This map, about the battle of Gazala in 1942, was made by Fenring. "By May 1942, both the Italian-German army and the allied forces in North Africa had received substantial reinforcements. As they had dug in along the Gazala line three months earlier the time was now right for an offensive. On May 26th, Rommel was the first to strike, taking his Panzerarmee Afrika and the Italian Ariete and Trieste Divisions past the most southern point of the Gazala line and striking the British positions in the rear." "It soon became clear that the battle would not go according to Rommel's plans. 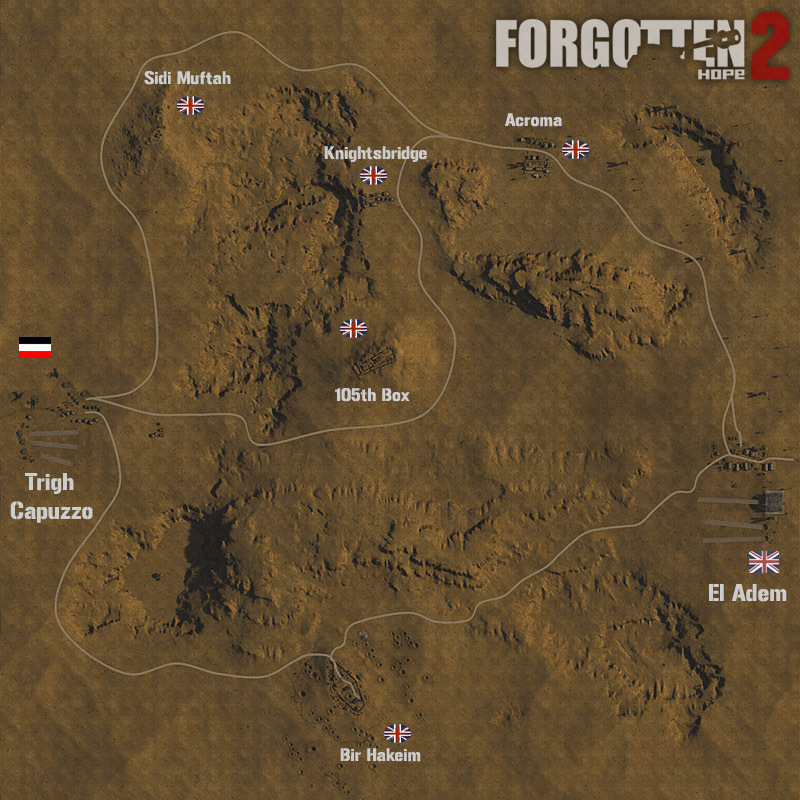 The Italian Ariete Division had failed to defeat the Free French forces at the Bir Hacheim box in the south of the Gazala line and slowly the advance of the Panzerarmee Afrika ground to a halt. Rommel's daring plan had now turned against him, as he was trapped between the British held Gazala line to the west and the advancing British armour to the east. The British failed to launch a coordinated counterattack however, and after a few days of being trapped in 'the cauldron' Rommel had smashed through the British lines and linked up with the Italian X corps and his supplies." "After easily defeating a British counterattack, on June 5th, which came far too late and was too poorly organised, Rommel could now turn his attention to Bir Hacheim. The Free French, who had held their position against overwhelming odds for over two weeks were finally forced to make their escape. 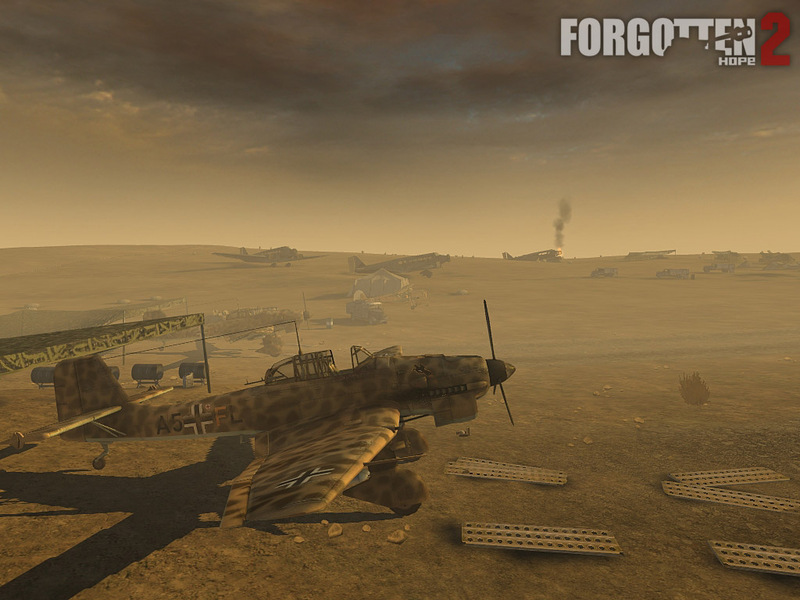 Rommel had now removed the threat to his rear and was able to go onto the offensive again. Only 3 days later he managed to inflict an enormous defeat upon the British armour near El Adem, reducing their number of tanks from 300 to only 70. On June 14th, the British commander ordered a general withdrawl from the Gazala line, which quickly turned into a rout. A week later, Rommel captured Tobruk. A week after that, Mersa Matruh..."
"For Rommel the battle of Gazala turned out to be his greatest victory and after the capture of Tobruk he was promoted to the rank of Field Marshall. For the British however, it was a horrible defeat. About the capture of Tobruk Churchill later said: "This was one of the heaviest blows I can recall during the war. Not only were the military effects grim, but it affected the reputation of British arms. Defeat is one thing; disgrace is another."."